October is always an exciting month for me as it’s the month containing Chocolate Week! And just in case you were wondering, Chocolate Week isn’t really about gorging yourself silly with Dairy Milk. It’s much more of a celebration and savouring of good chocolate – and other chocolate products – created with love and care. Chocolate has been a fantastic teacher to me over many years, as well as a gateway to understanding so many things about myself and the planet around me. I also think it’s no coincidence that a mindful eating meditation uses pretty much the same process as tasting chocolate professionally. Mindful eating is an ancient practice with its roots in Zen Buddhist traditions and you may have tried the standard approach of experiencing this with a raisin. But my way of thinking is: why would you do this with a raisin when you could do it with amazing flavour-filled chocolate!?! Chocolate is by its nature a very sensory food and and can be incredible soothing. However when you eat it with even just a little more focus and attention it reveals extra layers in the flavour and texture. I still find this so exciting, even with chocolate I’ve tasted hundreds of times. Now I’m not going to lie and say I eat every single mouthful of chocolate in complete mindful bliss. I do chew chocolate just like everyone else sometimes, but when I really want to taste chocolate, I eat it slowly and carefully, letting it melt in my mouth. There are many good reasons to give a little time over to tasting chocolate properly – and this is about more than just the taste. The reality is that good chocolate is a challenging product to create, from the growing to the making. Quite a few people ask me if I make my own chocolate and I explain that I buy what’s called couverture (i.e. pre-made chocolate) and then melt and temper it to make my own creations. This is because it’s actually really hard to make good chocolate from the beans. You need to understand the flavour profiles of beans, the temperature to roast them at and for how long (and this can vary by bean type and by batch). And how long to grind the beans to turn them into a chocolately paste. And how much sugar and cocoa butter, and, for milk chocolate, milk crumb to add. And then you need to have the machinery to do this efficiently. And you need to know about aging, tempering, storing, packaging. But even before all of this, you also need to know how to source for sustainability and quality. You get the idea! 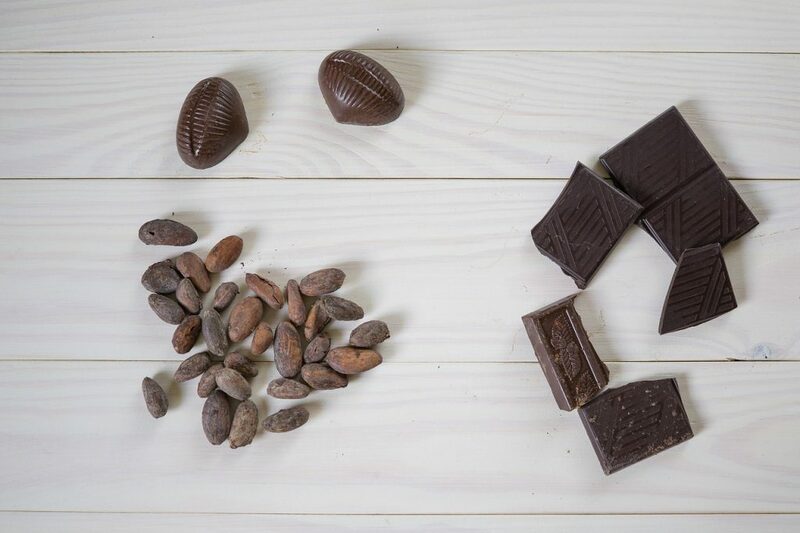 Chocolate starts with the farmers in various countries around the world who grow the plants, cut the crops, split the pods, and, for some chocolate, ferment and dry the cacao beans at their source. As with any farming you need to know your seeds, soil and climate to grow successfully. It can take 3 to 5 years from planting for cacao plants to be in state to crop, so there is a lot of patience involved. It may also surprise you to know that much of this still needs to be done by hand. Cacao plants are delicate and so the pods need to be cut from the trees with something like a machete. The pods are split, again normally by hand, to extract the wonderful seeds covered in white juicy flesh which become the cacao beans through fermentation (this kills off the germination turning the seed to a bean). Each tree has an average of 30 pods and within each of those pods there are about 40 seeds (though this can vary from 20 to 60). You normally get about 1kg of cacao paste from 10 pods. The best stats I’ve seen equate one tree’s annual crop of pods to 450g chocolate (though of course it depends on the cocoa percentage of the chocolate and the yield of the crop). My point in all of this is that cacao is sometimes challenging to grow, involves many hands in its process and a relatively small amount of chocolate comes out of all this effort. Good chocolate is therefore something to treasure. 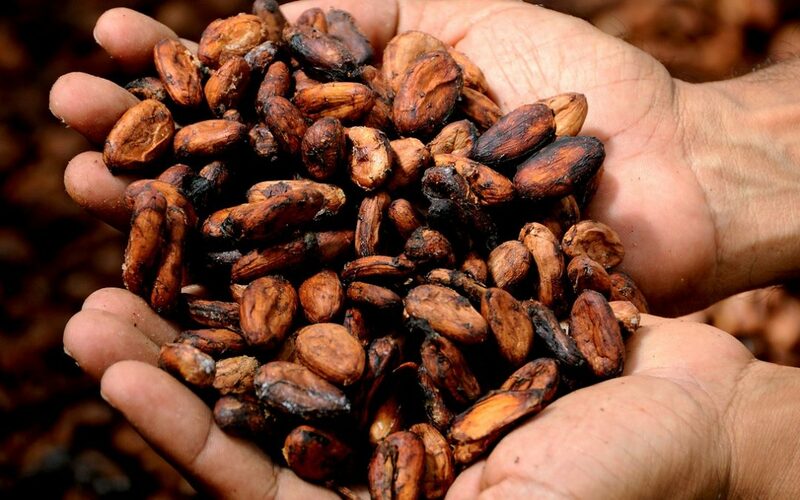 The reason better chocolate (which quite often falls into the craft or bean-to-bar category) costs more is that the chocolate makers who turn the cacao beans into bars often pay higher prices more for their (higher quality) beans. 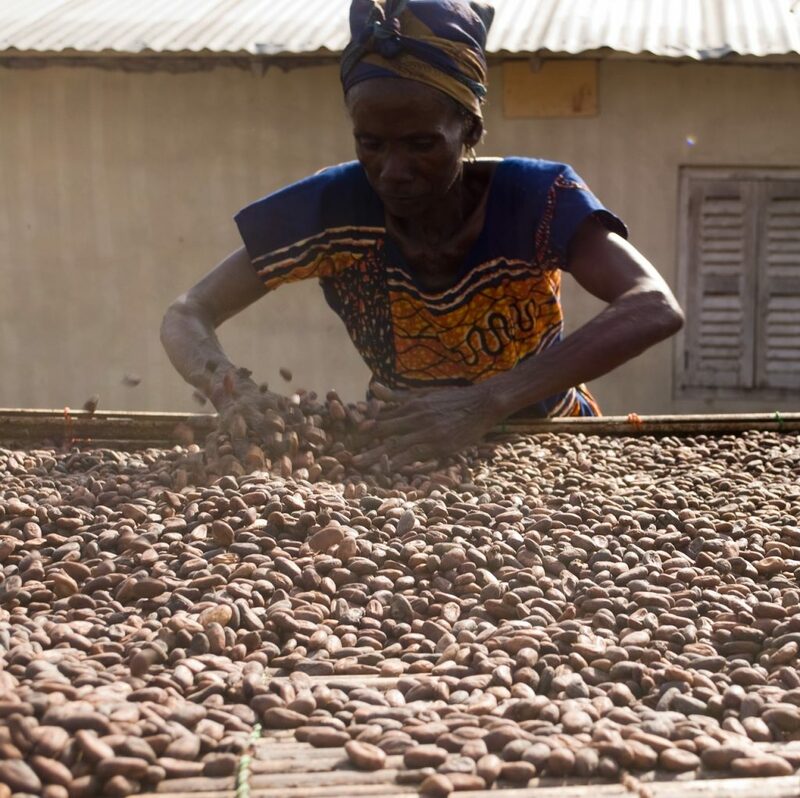 They also tend to work fairly closely with the supply chain, and sometimes directly with cacao plantations or co-operatives, to ensure ongoing development of the quality. They also generally make chocolate in relatively small batches so this in itself pushes the price up. That said, some of the big, more industrial chocolate makers are also making some positive changes around fair pay, sustainability and community building among cacao farmers. I think it can only be positive when all parts of the cacao industry want to improve things for the better and not just be driven by price concerns. Most of all, don’t forget to savour ALL the types of chocolate you enjoy. I wrote last month about the philosophy of mindful eating being about much more than just the physical process of eating. But actually the process of eating mindfully does also bring chocolate to life in a whole new way. 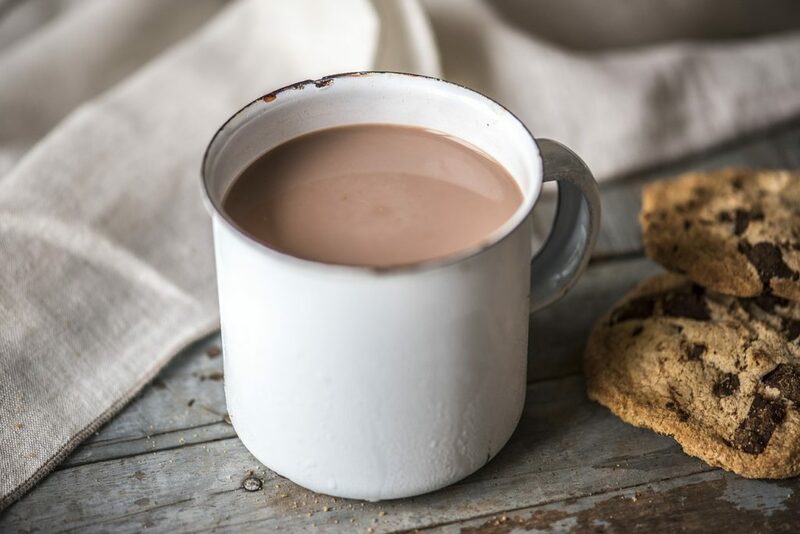 If you get the chance, and Chocolate Week is an ideal time to try this, I suggest buying 3 or 4 types of really good chocolate (you can go dark, milk or white depending on your preference) and setting aside a little time on a Saturday night to taste. Yes, this is actually more how I spend my Saturday evenings now that my nightclub shoes are well and truly hung up and stored away. Go into the tasting with lots of curiosity and openness; explore the look, touch, sound, smell and taste of the chocolates. See what jumps out at you as you taste – and it doesn’t just have to be flavours as this could be emotions or even memories. And of course don’t forget to notice what you actually like! This might even surprise you. I’ve often seen people realise they don’t actually like something they’ve eaten for years when they taste it properly. (Technically the mindful eating exercise is supposed to be non-judgemental but I think in this instance you want to add likeability into the mix). I mentioned that chocolate has been something of a guide for me. I’m naturally a bit of a ‘box of frogs’ brain person and learning to taste to chocolate properly has been such an amazing tool in making me really recognise the power of slowing down. Learning more about where chocolate comes from and how it is made has also made me feel much more connected with what I’m putting in my body. It hasn’t just been a personal connection; I’ve met some amazing and supportive people in the chocolate world. Just based on my own experience, even though working in and with chocolate can be challenging, chocolate is such a happy ingredient to work with that overall it’s hard not to feel good being around it. And you feel that when you meet fellow chocolate peeps. Chocolate has also taught me about patience and passion, given me many moments of joy, continues to intrigue me and makes me want to learn even more. I’m still relatively near the beginning of my own chocolate journey and I can’t wait to see where it takes me next.